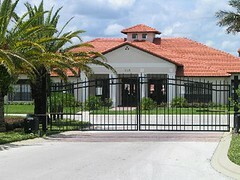 Luxurious Orlando villa located on the gated High Grove community. 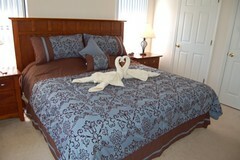 The villa can sleep up to 8 people and has 4 bedrooms and 3 bathrooms. Sandy Grove is in a prime Orlando location - just minutes away from Walt Disney World and near Universal and the other famous Florida attractions. 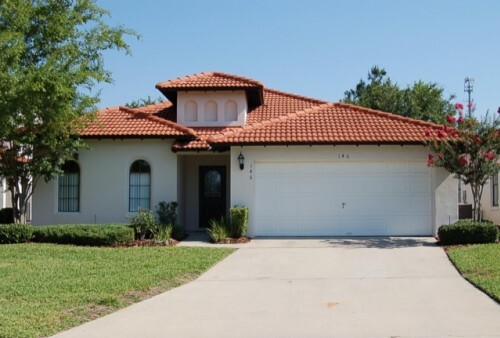 If you are looking for an Orlando villa, then look no further than Sandy Grove and book today! Beautiful 4 bedroom/3 bathroom villa available for hire. 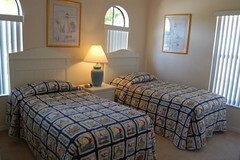 Sleeps up to 8 people and near all the famous Orlando attractions including Disney. Located on the prestigious, gated High Grove community with excellent facilities including communal pool, games room, clubhouse and gym. 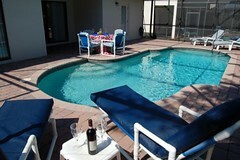 The perfect villa for a family holiday of a lifetime in Orlando, Florida. With 4 bedrooms, 3 bathrooms (2 en-suite), a fully equipped kitchen with dining area, family living room and a screened private pool, the villa is perfect for large families or two families to share. There is also a games room in the villa with a pool/air hockey/table tennis table for entertainment. Sandy Grove comes equipped with everything you would expect from a modern home including full air conditioning and heating, internet access, 5 televisions (one HD) and a DVD player. 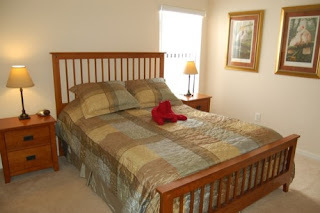 Less than 10 minutes from Walt Disney World and close to many other Orlando attractions such as Seaworld and close to many shops, supermarkets and restaurants, it is an ideal location for an Orlando vacation! Situated on the exclusive, gated High Grove Resort. Clubhouse facilities include communal pool and spa, games room with pool table, clubhouse, gym, computer room, gift shop and more. 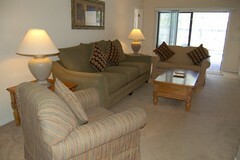 Prices start from just £350/$550 per week for the villa. We also offer late availability discounts so please email us. DES Web Solutions 2014. Simple theme. Powered by Blogger.